Here’s your chance to win a traditional High Tea for five people at Australia’s oldest Parliament. Prize is valued at $250. Indulge in the finest High Tea in the exclusive Stranger’s Dining Room in the NSW Parliament located on Macquarie Street Sydney. This room is usually reserved for Members of Parliament, visiting dignitaries and even royalty. Enjoy the elegant menu with sweet and savoury delicacies served on bespoke Wedgwood china, this is a truly unique opportunity to sit down for tea in Australia’s first and oldest Parliament, one of the most significant political and cultural institutions in NSW. High Tea is served on Fridays from 12 noon. Find the High Tea menu here. Prize included is a traditional High Tea for five people served in the Strangers’ restaurant with an optional tour of Parliament House. Prize is valid for 1 year from the draw. Prize is not transferable for cash or to be used with any other offer. Parliamentary tours are not run by the catering team. For tour bookings please contact the LA front desk 9230 2219. Question: What sparkling rose is served with the Sparkling Rose high tea and where is it from? The competition closes 16th of June 2018, 5pm AEST. The winner will be announced on High Tea Society on the 19th of June 2018. Congratulations to the winner Charlene Pearson. 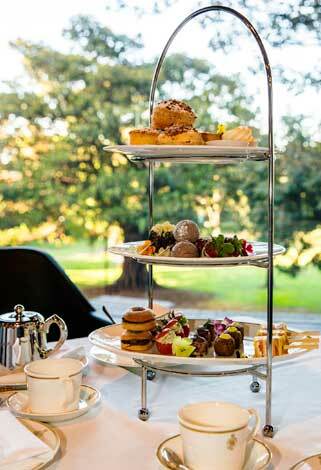 Discover more Sydney High Tea venues.